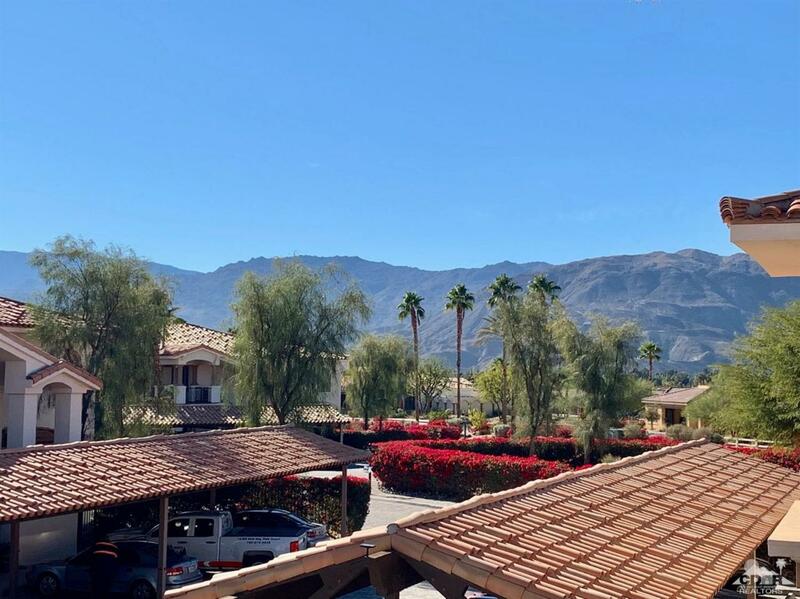 Welcome to this perfect location in the heart of Palm Desert where you'll enjoy the gorgeous mountain views, beautifully maintained grounds and an active lifestyle. 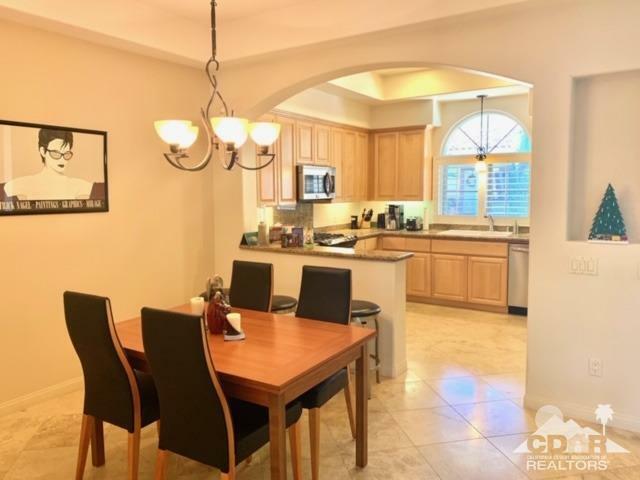 This upper unit is wonderful with its granite counters, coffered ceilings and travertine floors. The split bedroom floor plan is ideal for privacy. The den/office is a great use of space for anything you desire and the open kitchen makes it easy for entertaining. 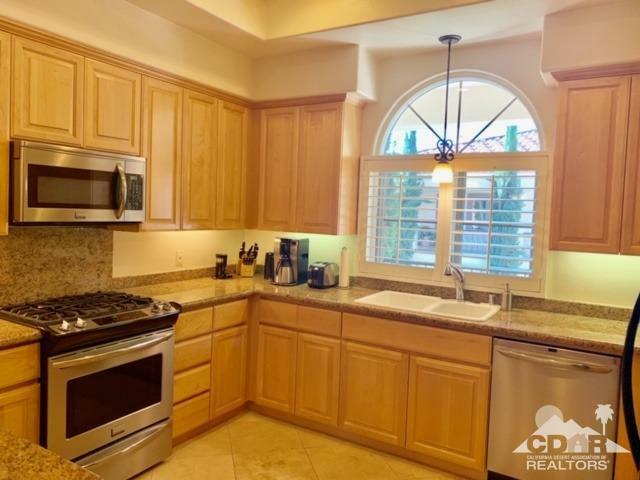 Plenty of cabinets and counter space for all your cooking needs. Relax and enjoy the expansive back balcony with morning coffee or an evening cocktail.This 2nd floor condo has nearby elevator access. 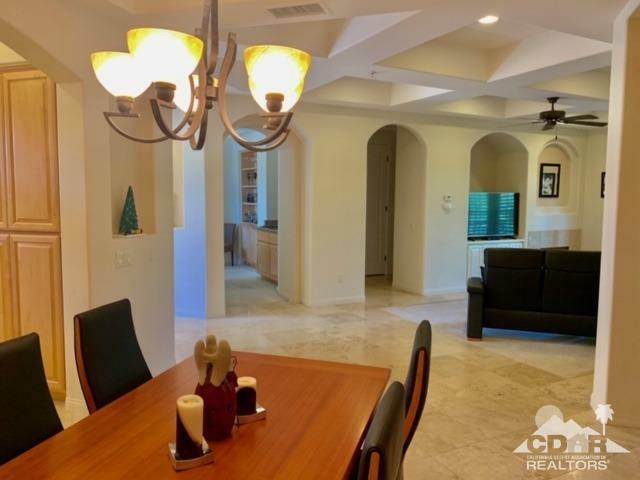 Villa Portofino offers a lovely 30,000sf clubhouse, dining, a fitness center, a large pool & spa & friendly residents in this 55+ community located convenient to shopping & restaurants. HOA of includes water, trash, gas, cable TV, basic internet, bldg maint., elevator & common area maintenance. Seller will credit buyer 1 year of the current HOA dues in escrow.